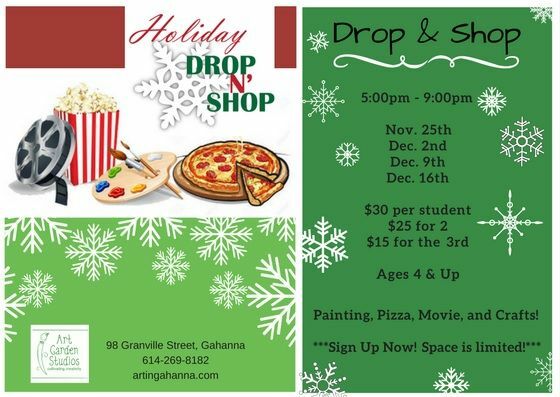 Drop N Shop happens each Saturday from November 25th to December 16th to give parents the time they need to do their Holiday shopping while keeping their children in a safe and educational environment. We will provide them with fun activities such as painting, crafts, and movies. Pizza will be included. Class seats are limited! Sign up now to be guaranteed a seat! Art Garden Studios offers fine art classes year round to "grow" artists with technique and creativity using a variety of art mediums. Schedule a private birthday pARTy or Adult Canvas pARTy on the weekends. Sibling discounts and early camp pricing are available. 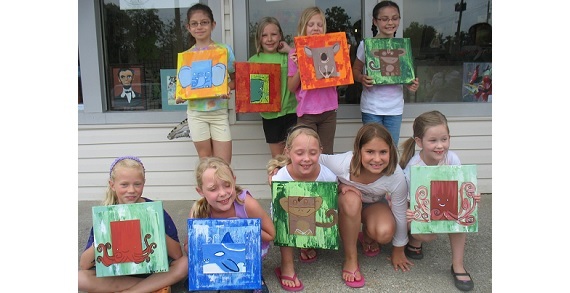 Summer Camps create an artisan feel with sculpture, fiber arts, garden art, and printmaking among other multi media art-making and offer Open Art Hours for the all-day kid.